Located in the Free State Province of South Africa, the town of Memel was officially formed in 1914. Until democracy was established in 1994, Memel was a fairly typical rural community where apartheid reigned and where residents lived somewhat isolated lives. Since 1994, outsiders – from across South Africa and from around the world – have discovered this gem of a town. The 2011 census found 619 people living in Memel. Zamani is the adjoining township of 6,500 black residents, primarily Zulus and Sotho peoples, although 18 languages are spoken within its borders. Within the last two decades, Zamani has seen a population explosion. 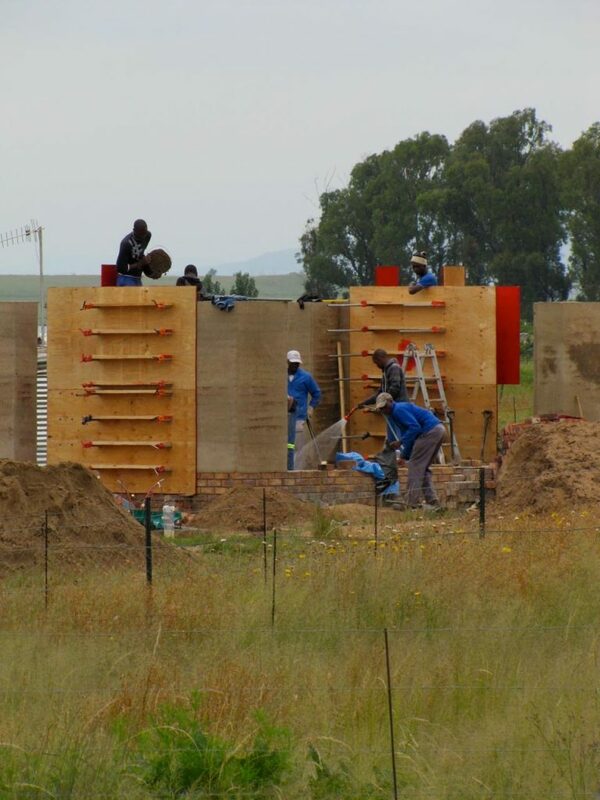 Newcomers to Zamani initially built hundreds of shacks, then gradually began to construct small brick and concrete block homes. Unofficial estimates put the local unemployment rate up to 75%. There is insufficient water and electricity. Few homes have flush toilets or connection to a septic or sanitation system. Due to the high rate of HIV/AIDS, many households are headed by grandmothers. Lack of access to arable land and seasonal droughts cause many hardships for a majority of families, making food security an issue. The children of Zamani have many barriers to overcome as they go through primary and secondary education and few make it to college. Memel.Global is helping to spearhead the transformation of both Memel and Zamani, focusing on community building, sustainable housing, employment, permaculture, food security, education, ecotourism, and more. Though the towns face challenges, Memel and Zamani are stable environments with social problems that can be successfully addressed. 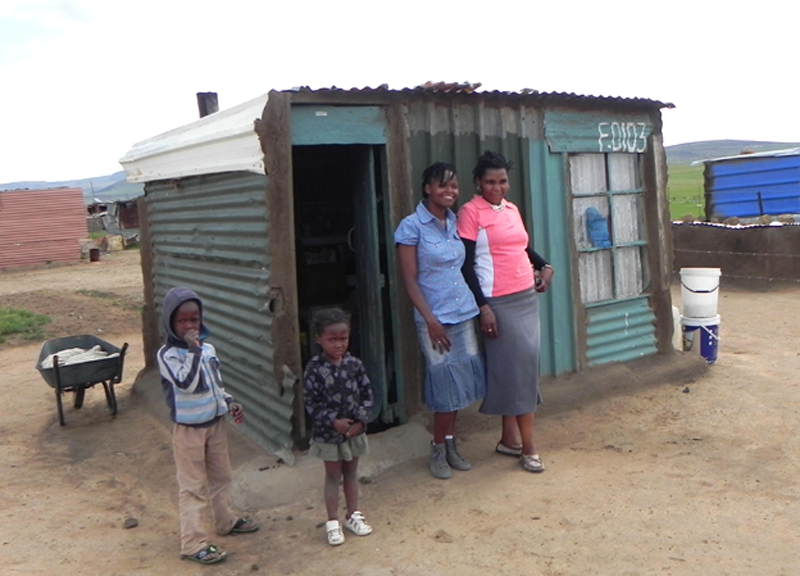 Real post-apartheid change is possible in these neighboring communities. Memel and Zamani are situated in a nature lover’s paradise – high-altitude grassland, rolling slopes, high koppies, mountain vistas. The Drakensberg Escarpment is just 15 miles from Memel and Zamani. The Berg is so close here that many urban South Africans use Memel as their jumping-off spot for exploring the majestic beauty of the escarpment. Memel is also fast becoming one of South Africa’s most sought-after birding spots. With more than 250 species of birds, the nearby Seekoeivlei Nature Reserve is one of the largest remaining wetlands in South Africa, significant ecologically and internationally as a Ramsar site. The nature reserve is an outstanding destination for birders, especially those hoping to spot grassland and wetland species, including endangered species such as the blue crane and crowned crane. Antelope, zebras, and reintroduced hippos can also be seen in Seekoeivlei. In fact, the reserve is named for the hippos that were native to this wetland. Seekoei means hippo in Afrikaans, and vlei means wetland. The hippos were hunted to extinction in the Free State over a hundred years ago, but efforts to bring the hippos back and to restore the wetland have been successful. Learn more about numerous other ecotourism opportunities near Memel and Zamani, including mountain biking, hiking, fishing, and horseback riding.